The apartment is separated from the main house by large double garage and enjoys good sea views of Arkles Bay and out to Rangitoto Island. Brand new in March 2017 the 60sqm size makes it much larger than most motel/hotel rooms plus the large deck extends the living area for relaxed outdoor dining. Arkles Bay is ideal for kayakers, paddle boarders etc as there is the very picturesque Weiti and Okura Rivers within easy paddling proximity. Dolphins and Orcas are often seen in the bay and fishing off the beach can sometimes provide you a meal. The apartment has a fully equipped kitchen with everything you are likely to need along with dishwasher and large fridge. Arkles Bay is only 35 minutes from Auckland city. It is handy to lots of activities including Aucklands only indoor skiing and snowboard facility - Snow Planet which is only 10 minutes away. Also the Waiwera Hot pools is a 22 minute drive. 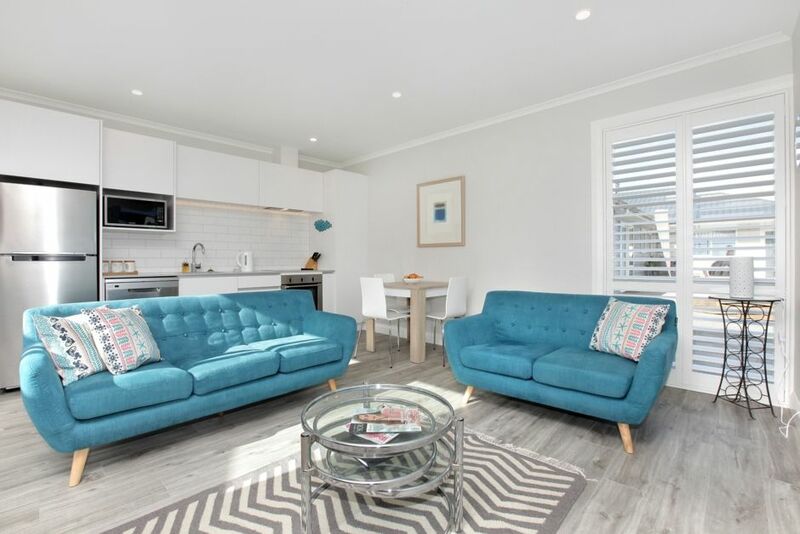 Arkles is also very close to Stanmore Bay, Little Manly, Manly, Matakatia Bay, Tindalls, Shakespear Bay, Army Bay and Gulf Harbour, and a short 15 minute drive to the very popular Orewa Beach. There are fabulous local markets held on Saturdays and Sundays in Silverdale and Orewa or further afield to Warkworth or the Matakana farmers market. We are a beachfront location. The apartment is adjacent to our house and at the rear of the property. The beautiful sandy Arkles Bay beach is a very short walk down the drive. Heat pump in open plan living area. Off street parking beside apartment. Freeview or bring your own decoder. Husband has already stayed there and spoke so highly of this place; I had to discover it for myself. It is an excellent place with all amenities being a very high standard. The attention to detail is faultless. Situated a stones throw from the beach & a short walk for nearby shops, cafe & main road to highway. Highly recommended as a perfect getaway to discover the best of what NZ has to offer. Thank you very much for the wonderful review. It was a pleasure having you stay. Thank you for leaving everything so clean and tidy. We hope to see you again.